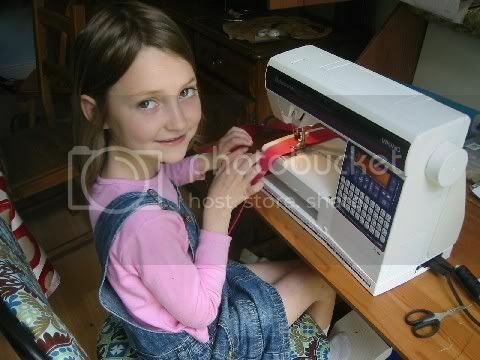 Today was Eden's turn on the sewing machine. 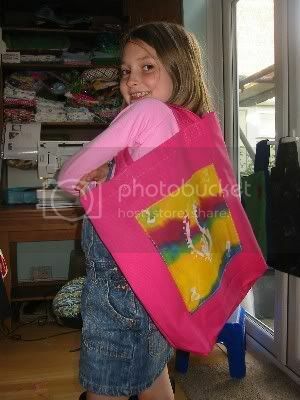 She used a batik she made at school as decoration for her bag. 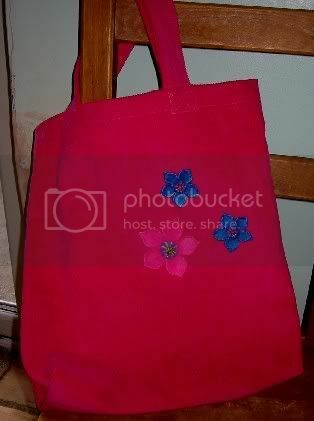 And another bag from me.This one I am giving away. 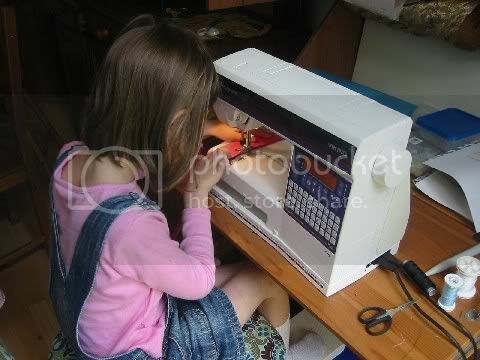 hadn't thought to get my two doing anything useful with a sewing machine just yet... was just going to get them to do bits and pieces of not much but this is a much better idea!